Three days of various Events taking place all at one place, packed with Fusion concerts, Bharatha Natyam, Jugalbandhi, Harikatha, Hindhusthani concerts and many more. With Mylapore Fine Arts Club opening its December season today, the concerts have grown in number to two dozens a day. To guide you through the 'season', S. Kannan comes up with a pocket sized programme booklet, fully supported by the textile king Nalli. Organised date-wise, this guide lists all the concerts that happen between Dec. 1 and mid-January. Here is yet another sabha and venue to add to the December mega music season. The Tapas Sangeetha-Natya Festival is hosted by the Tapas Academy. The concerts are open to all. But you need to obtain a Kutcheri / season pass to attend the concerts. Contact 89392 89798 for passes. As a part of the cultural activities of Meenakshi College for Women, this academy has been hosting music concerts during the December season for 12 years now. This year's festival will begin today (Dec. 4, 2013) and will be inaugurated by Dr. M. Balamurali Krishna. 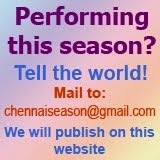 In The HIndu's special supplement - Curtain raiser to the Chennai Festival, that came out on Dec. 1, as usual, it was mentioned that the Season Tickets sales at the Music Academy will commence at the venue on Dec. 2 at 9 a.m. It was an open call to all those who wish to be at one place and listen to the best of the 'season'. The regular concert goers in Chennai city picked up this small print below the schedule of The Music Academy in the Hindu's last page lined up at the Academy from 6 a.m. onwards. They were given tokens and made to sit in the lobby and the season tickets were issued. Around 300 people were present early in the morning. Season is picking up in Chennai. After Bhavan's festival, Bharat Kalachar and Kartik Fine Arts opened on Dec. 1. Brahma Gana Sabha has kept its date for Dec. 3 and the concerts are on from today. 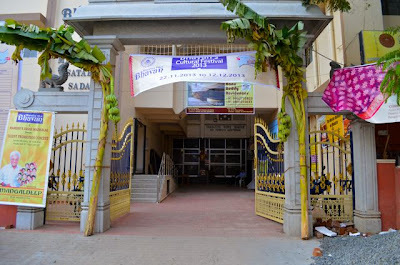 Chennai Cultural Academy (earlier known as Nungambakkam Cultural Academy and Mudhra will begin on Dec. 6. The rasikas have a lot in the plates before them for December. Season tickets - Rs. 10000, Rs. 8000, Rs. 6000, Rs. 4000 and Rs. 2500. Also daily tickets are available at the counter. Contact Brahma Gana Sabha at 9444 44767 or 98410 70390. Panuval Book Stores in Tiruvanmiyur has come up with a different idea to celebrate the 'season'. Screening of documentary films on musicians & dancers. There are a couple of films on artistes produced and are available on sale. They are rarely screened for the public. The book store has gathered these films and screening them for a week. Daily at 5.30 p.m. The popular on stage - on air show Jaya TV Margazhi Maha Utsavam is celebrating its 15th year this year. The concerts are open to all on first-come-first-serve basis in seating. 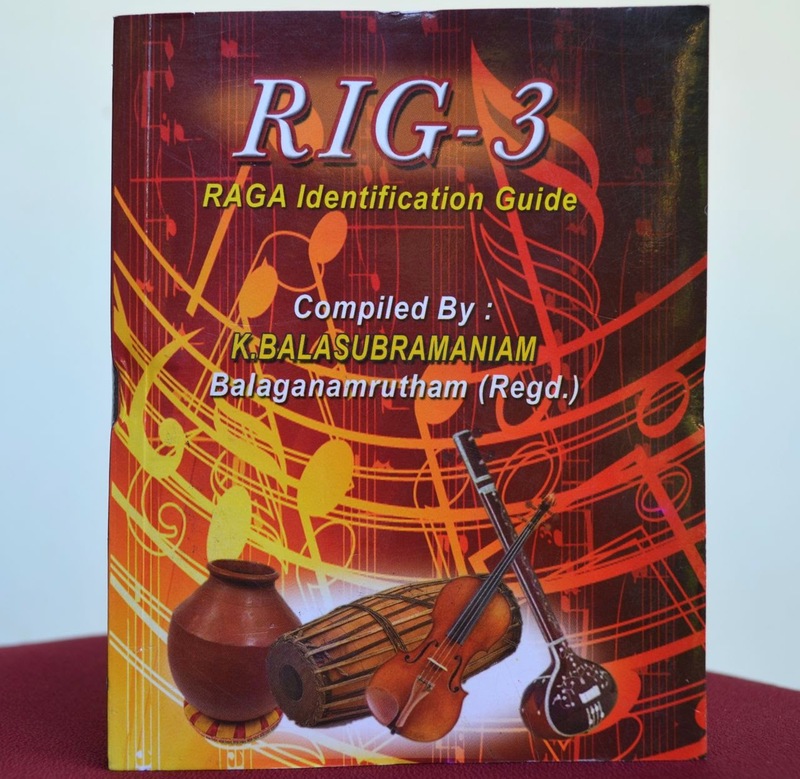 The series starts today with Mangala Isai by Thirumeignanam Brothers at 3 p.m. The concerts are on at the venue till Dec. 16, 2013. They will be aired on Jaya TV from Dec. 16 to 31, 2013. The schedule will be put up soon here. Neyveli R. Santhanagopalan - Guruguho Jayathi - Sangitha Rasanubhavam in Muthuswamy Dikshitar's Kritis. Prof. S.R. Janakiraman - Kriti and Keerthana, is the difference real or imaginary? Venue: Srinivasa Sastri Hall, Luz Church Road, Mylapore, Chennai - 4. The renovated auditorium of Bharatiya Vidya Bhavan posed a festive look on the opening day of their festival. Bhavan's festival actually ushers in the 'season' in Chennai. Once BVB's festival is over, the auditorium is rented to other organisations like Kartik Fine Arts later in December. Though on Day One of the festival the auditorium was partially renovated and a couple of small and big work-in-progress could be seen, the festival kicked off with huge audience in the inaugural concert by Sudha Ragunathan. 10.00 a.m. - Book release - Ramaniya Geetham - Vol. 4. R. Vedavalli presides, Guest of honor - V.V. Sundaram. The December season for the Indian Fine Arts Society begins on Dec. 18, 2013 and will go on till Jan. 4, 2014. Season donor passes will be issued from Dec. 17, 2013 at the Indian Fine Arts Society's office at “Devi Arihant”, Flat No. 16, First Floor, 15, Dr. Nair Road, T. Nagar, Chennai - 600 017 and at the venue. Contact mobile numbers +91 78457 55481, +91 87544 37839. 10.30 a.m. - Lecture Demonstration on Nature in Music. 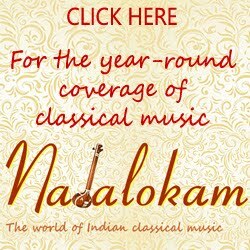 Mention of Planets, Rivers, Mountains, Elements, Flora and fauna in Carnatic music and Hindustani Music compositions. 2.00 p.m - Sirisruthi Sharva - Vocal, Vilivakkam Raghuraman - Violin, Ajay Gopi - Mridangam . 10.30 a.m. - Lecture - Demonstration onnThiruvasakathil Naatupura Koorugal by Dr.Ramakausalya, Vocal support by Smt.Madhuvanthi. 10.30 a.m - Indian Choral Music and its relevance today - Lecture & Demonstration by Dr.SudhaRaja. 10.30 a.m.- Namasankeerthanam by Dr.R.Ganesh & Party (Dis. of Maharajapuram Santhanam). 7.30 p.m. - Sahrdaya Foundation presents Gopala Ratnam. A group bharatanatyam presentation choreographed by Sheejith Krishna highlighting the colorful and varied forms of Krishna - the beloved jewel of the devotee. 6.15 p.m.- SrekalaBharath presents Bhakta Meera a solo Bharatanatyam feature. 10.30 a.m. - Lec.Dem. 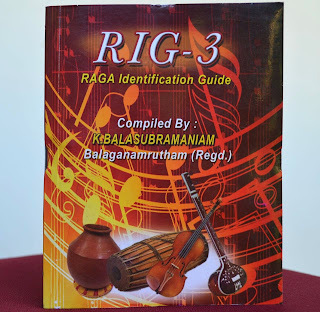 on Sri Swathi Thirunal contribution to Karnatic Music by Dr.S.A.K.Durga. 7.30 p.m. - Om Namasivaya thematic Bharatanatyam by Padmalaksshme Suresh and disciples. 7.30 p.m. - Sridevi Nrithyalaa presentsParam - the Ultimate: A thematic presentation. Choreography - Sheela Unnikrishnan. West Mambalam based organisation Hamsavinodhini holds its December Music Festival at Arkay Convention Centre, Royapettah High Road, Mylapore. Bharat Kalachar in association with Kalpathi Investments P Ltd hosts its annual Margazhi Mahotsav from Dec. 1, 2013 to Jan. 14, 2014. This 45 day festival will be held at Sri YGP Auditorium, 17, Thirumalai Road, T. Nagar, Chennai -17. Admission is free for concerts from Dec. 1 to Dec. 10. For the music concerts and dance recitals from Dec. 13, admission is on reservation. Season tickets for all the 46 days cost Rs. 8000 per person. Daily tickets range between Rs. 100 and Rs. 500. Advance booking begins on Dec. 1, 2013 at the venue. 6.30 p.m. - Inauguration and award function. Dr. R. Seetharaman, CEO, Doha Bank Group inaugurates. Gopalkrishna Gandhi, former Governor of West Bengal presides.